In my previous post (Part-1) I explained how to send email from OSB. But in that case we can send email only to one address and it does not have Email subject populated. In this post I will explain how to send email to different users with different contents and subject. 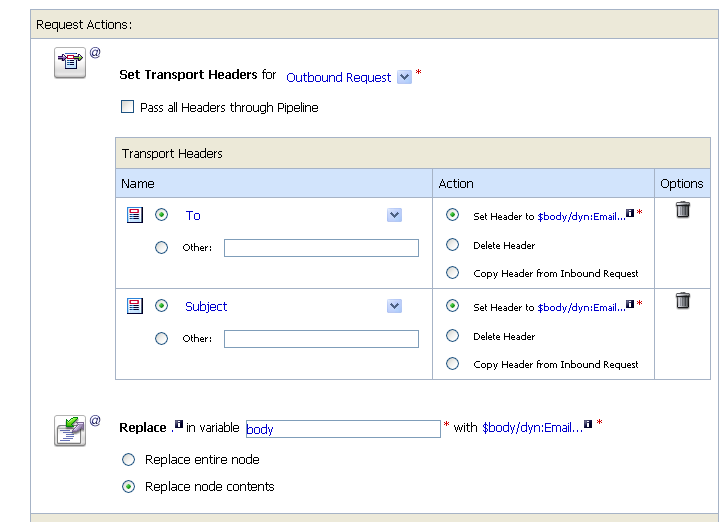 In this post we will create one proxy service which sets the email address, email subject and email content dynamically and in message flow of proxy we will use "Transport Header" activity to set all these values dynamically. 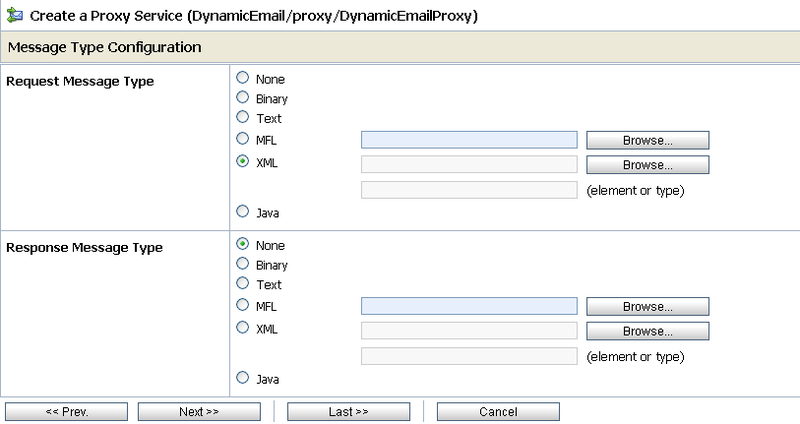 We also need one schema that we will use in proxy service. 1.) Start by creating a simple schema, you can create this schema in Jdeveloper. Use below schema for this sample. Create schema in OSB project. Navigate to your project, click on Create Resource drop down.Choose XML Schema. 2.) Now create proxy service. Navigate to your project, click on Create Resource drop down. Choose Proxy Service. Choose Message Service as Service type. 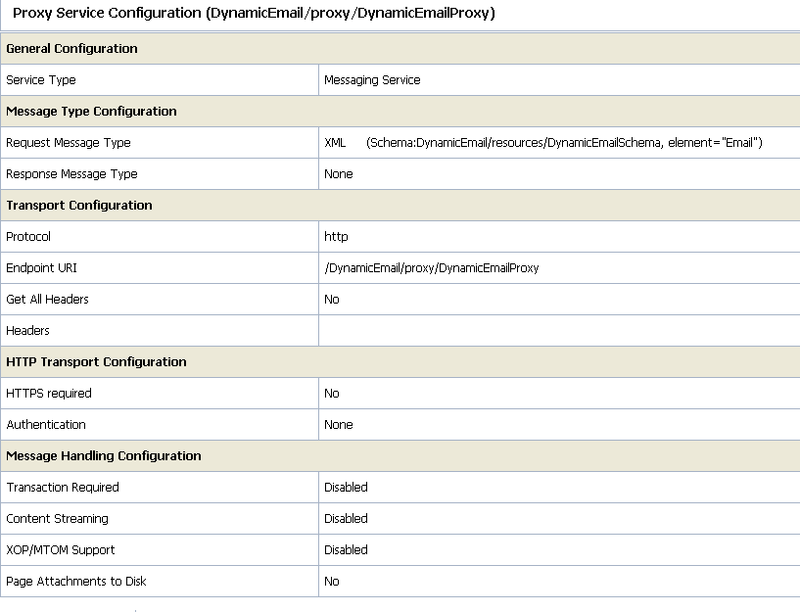 In Message Type Configuration choose XML as "Request Message Type" as we are using schema to create proxy service. Then click on Browse button and select the schema that we added above. 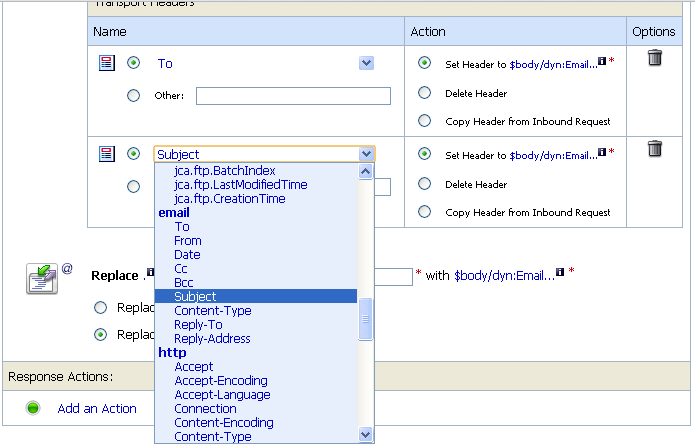 Select request element "Email" of the browse schema. Now accept default values and create proxy service. 3.) Now we have business and proxy service ready. We need to pass Email subject, Email content and Email to address dynamically to business service. 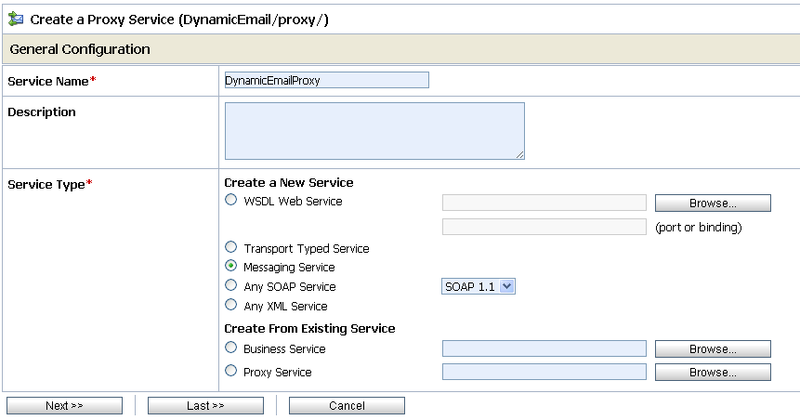 Navigate to Message flow of proxy service. We link proxy service to business service by using route node. 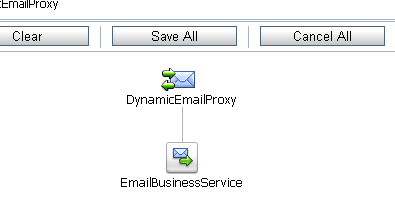 Right click on EmailBuinessService and choose Edit Route. 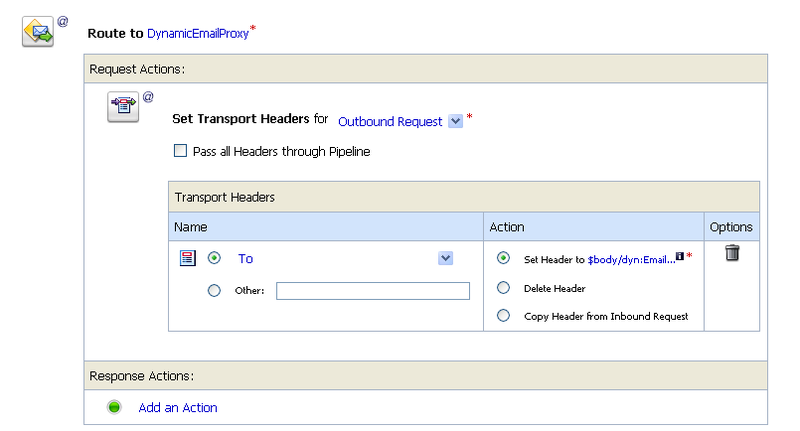 Add an action in Route node to invoke business service. Select Business Service in Route to option. To pass Email content dynamically we need to use Replace activity. Set XPATH=. ,variable=body and with= ($body/dyn:Email/dyn:Emailcontent/text( )). Save all the change, activate the session and you are ready to test your proxy service. Click here to read Part-1.